WHY DID WE BEGIN MANUFACTURING PROPELLERS? There has always been a keen interest in boats in our company, especially in propellers and how they can be improved. 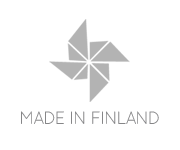 We also want to pass down a tradition of propeller manufacturing that has existed in these parts of Finland since the 1960′s. Most of the larger propeller manufacturers are located in North America and Asia. We don’t think it’s fair that a customer in Europe or the Nordic countries should have to put up with delivery times that are several weeks longer than necessary. Because of our proximity to the European market, we can provide much faster delivery times than our larger competitors. High quality customer service and craftsmanship are standard, and we develop custom propellers for clients with high expectations. In Finland, we are committed to manufacturing parts and products that last, in stark contrast to the throw-away society of today. Our propellers are made to last. A Steelcraft propeller will not be in need of replacement anytime soon. Fjalar Åkerblom, mentor to the company’s founders Björn Björklund och Markus Asplund, was a supervisor at Rolls-Royce, and has been working with propellers since the early 1970’s. Fjalar began constructing propellers in his own garage, and later moved to the Aluminia yard FF-jet, which became a part of Rolls-Royce in the 2000s. Markus’ experience in propeller manufacturing goes back to 1992, when he was working at Rolls-Royce Marine. 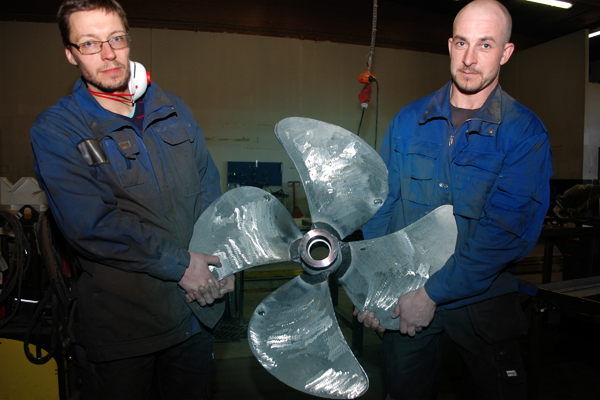 Björn has been working with propellers and water jet impellers since 1998. Björn and Markus worked together at Rolls-Royce Marine in Kokkala until 2005. MTP-Service was founded in 2008 by Björn and Markus. When the company began the manufacturing of propellers, Fjalar became the natural mentor. In 2012, Steelprop Finland Ab Oy was formed with the addition of new partner knowledge and expertise.